Mohandas K. Gandhi was an Intelligent Fraud,It is said that when Gandhi was shot, his last words were “Hey Ram”.For those who don’t know (lord) Ram is name of a Hindu god. Lord Ram is depicted an ideal human in a Hindu script know as “Ramayana”. It is well known fact that Mr. Gandhi believed in god. He also preached that we should have fate in god.British applied all kinds of inhuman punishment to Indian in order to suppress there voice against independences. 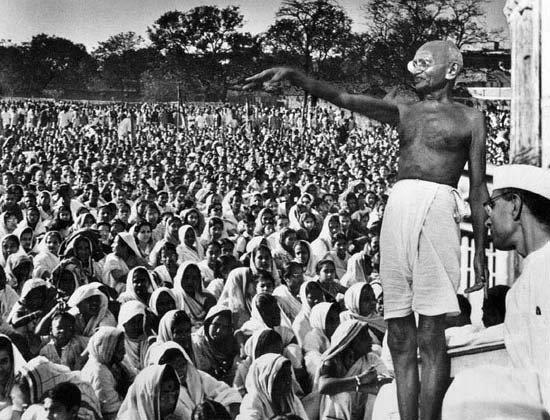 Mr. Gandhi use to appeal Indian to remain calm and non-violence against injustice. In attempt to get justice and to prevent humanity it is justified to kill demons in the society . Even lord Ram & lord Krishna depicted an ideal human in a Hindu script know as “Ramayana” and “Bhatvata-Gita” did took to violence in attempt to prevent injustice. So why did the follower of Ram (Mr. Gandhi) appeal Indian to remain calm and non-violence against injustice? This is completely opposite to the teachings of Bhatvata-Gita and Ramayana anyone can visualize India or 'Bharat (mata)' was captured by British’s and it was the duty of followers of Ram to liberate 'Bharat mata' by destroying British’s. My point is straight forward ‘If Gandhi was a follower of Ram he should have advised the masses to take on and destroy the British’s.But Gandhi was a puppet of British’s. The deal between Gandhi and British looks straight to me ‘ask Indians to be non-violent against as (British’s) and we will help you (Gandhi) to get political mileage and suppress your (Gandhi’s) political opponent.’ Any person with very little common-sense can point out the fact the thousand of innocent Indian were slaughtered by British’s for no reason atoll. In fact British’s never need any reason to hang, to Latti-charge or to imprison any Indian. Very common and wicked example to support my statement is Massacre of Jalianwala Bagh which took place in Amritsar, Punjab (13 April 1919). The official figures were 379 killed and 1200 wounded. Actual numbers were 1300+ dead and many more wounded. 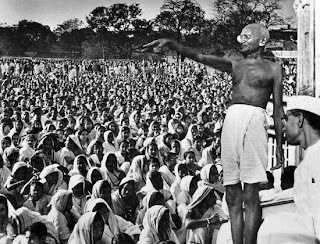 Again my point is why Gandhi’s public gathering was not targeted. Why Gandhi was never latti-charged nether shot dead like my other Indian who supported freedom struggle. The reason seems straight forward. Gandhi brainwashed and convinced Indian to give up violence against British’s. This was a plus point for the British’s.